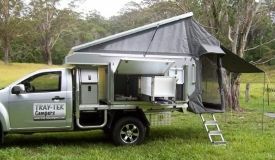 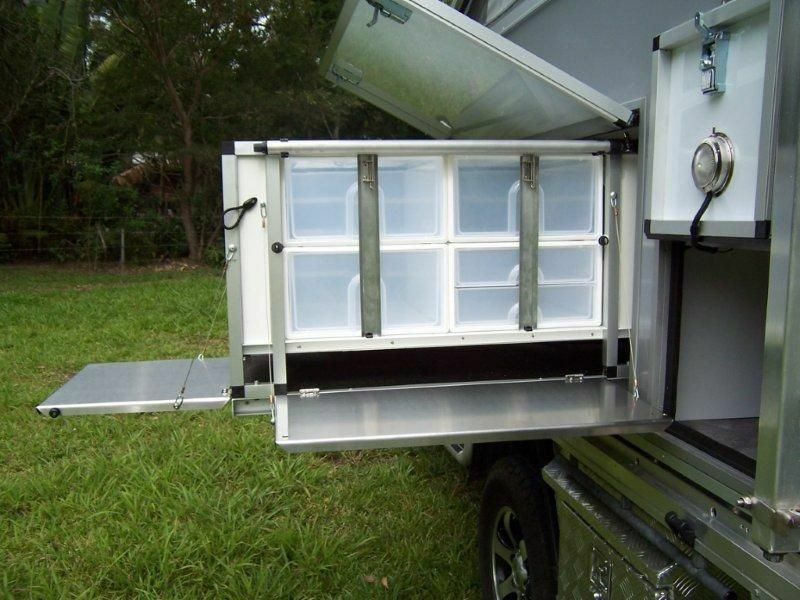 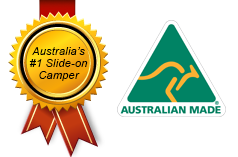 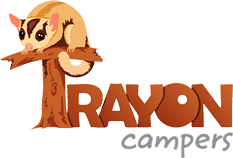 The “Tailgater” Tray-Tek Slide-on Camper has been designed to make camping easy. 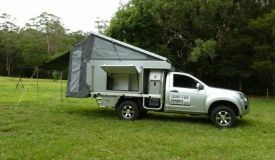 The unit is quick to erect (taking less than 3 minutes) and fast to pack up. 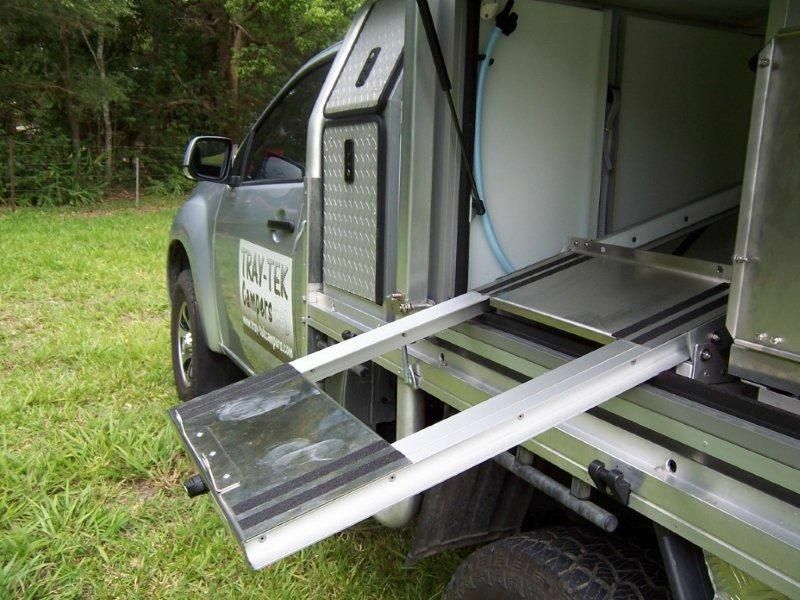 The heavy-duty jacks are carried on the unit when travelling and act as the tie-down points to the vehicle. 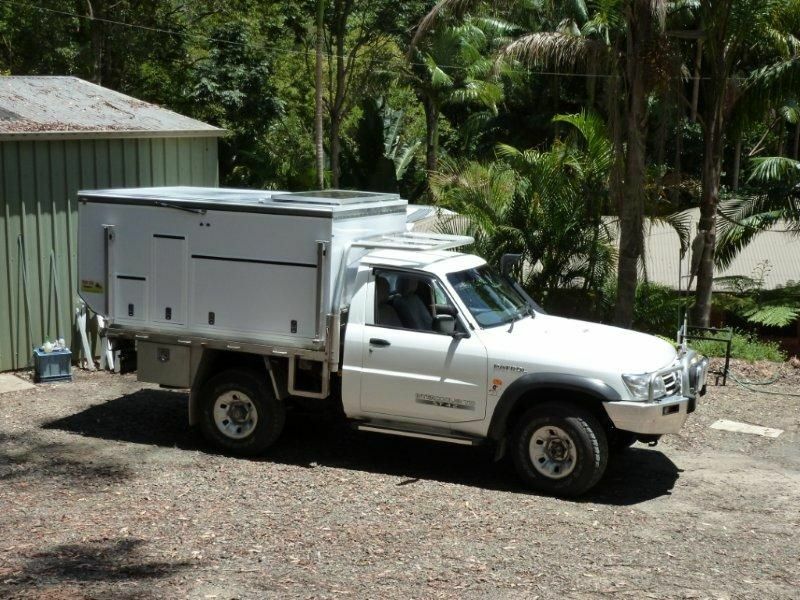 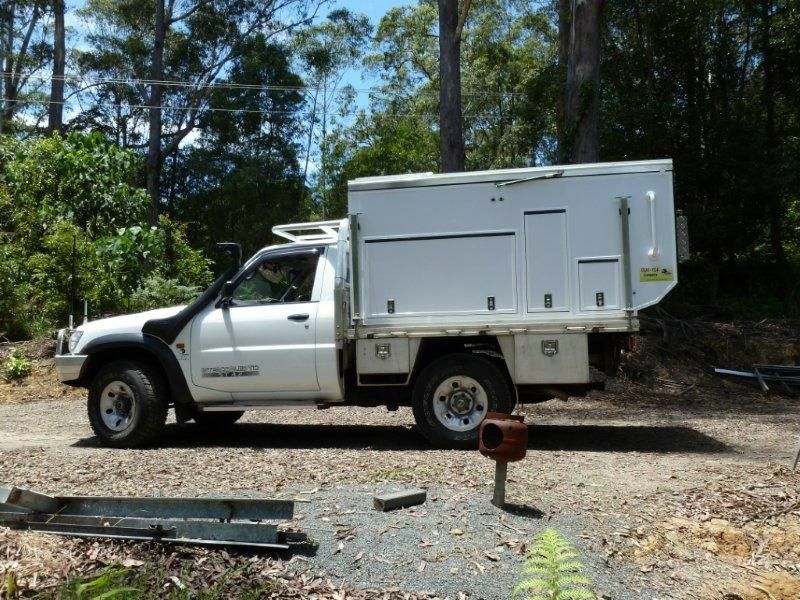 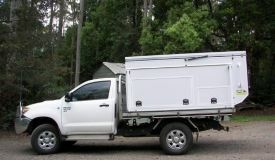 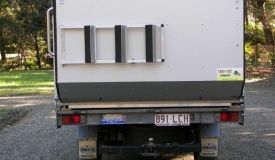 The ladder to access upstairs is attached to the back tailgate when travelling. 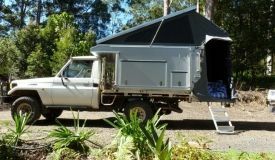 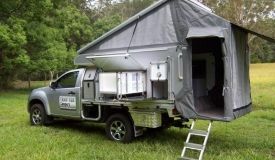 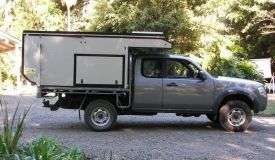 The unique tailgate drops down extending the living area upstairs and creating extra room when camping. 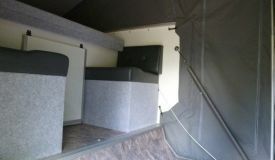 On the passenger side there is a storage/work unit with drawers, benches and gas stove. 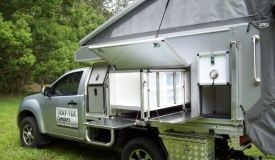 A uniquely designed and built auto-tilt fridge slide constructed of aluminium and stainless steel – no rust, no rattles and minimal moving parts is fitted to suit your fridge. 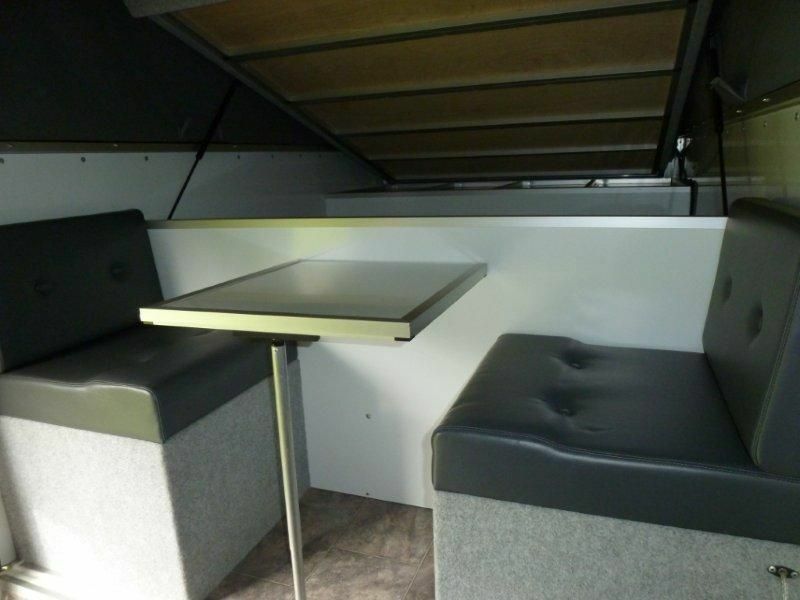 There is also a separate compartment that can also be accessed from upstairs. 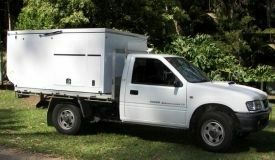 On the driver’s side there is a storage compartment which houses the deep cycle battery. 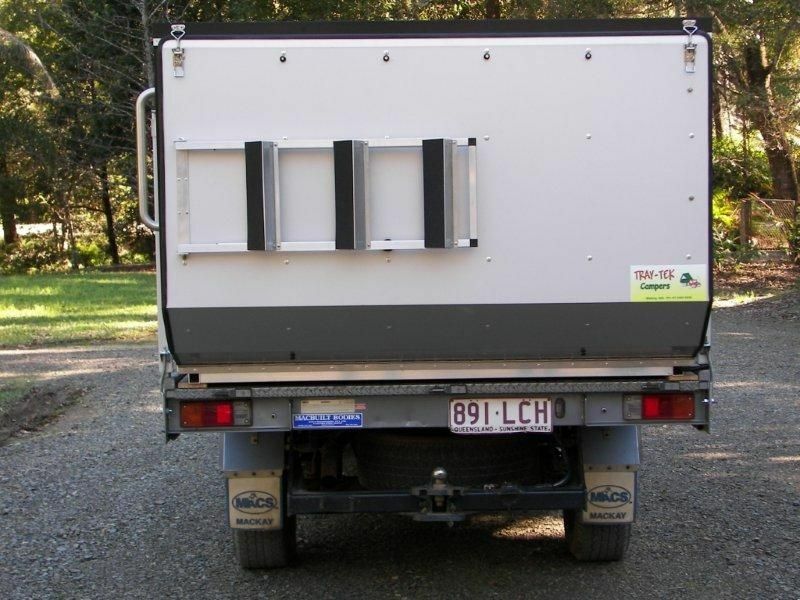 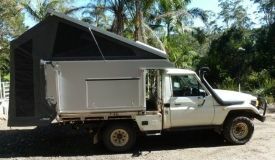 A slimline water tank is fitted to the camper. 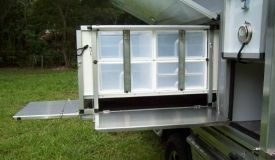 There is a winch that operates the tailgate; making packing up easy. 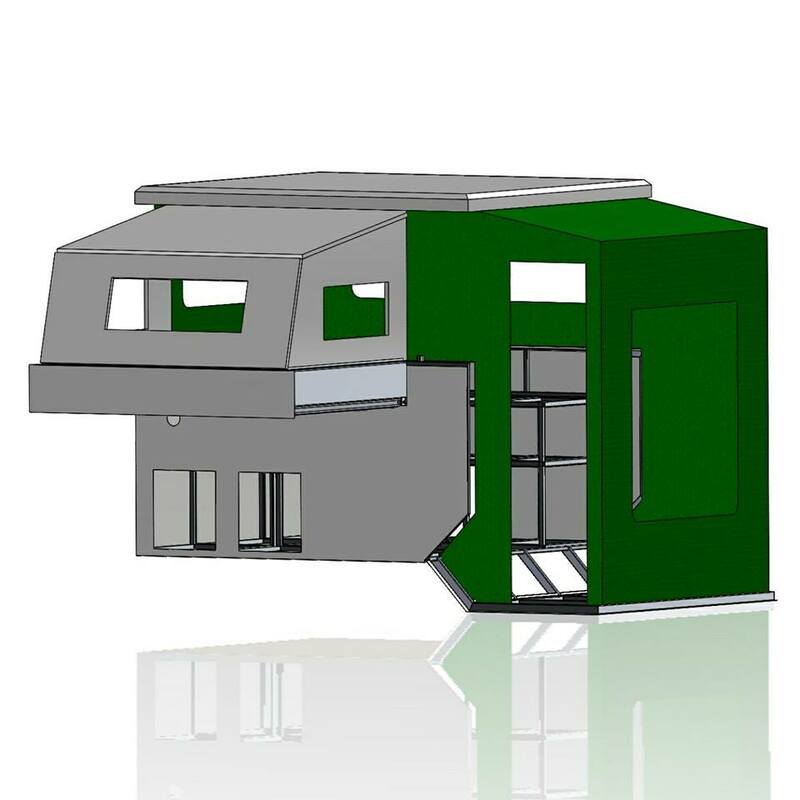 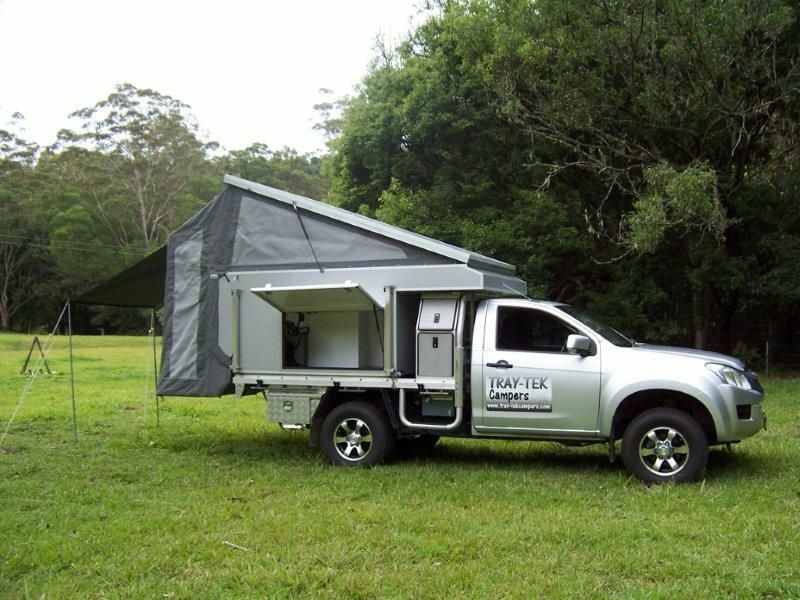 An awning is supplied and is attached by sail track which can be attached to the passenger side. 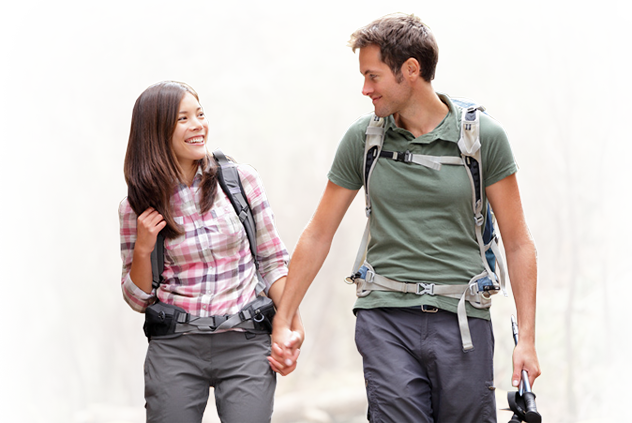 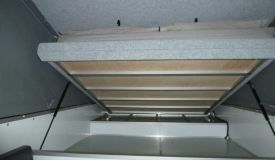 There is no need to make the bed every day and the bed is lifted up on struts when not in use. 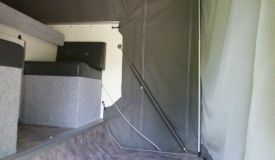 Over the bed is a hard, insulated roof (not canvas). 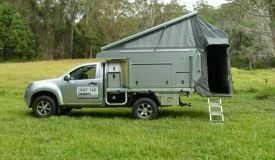 All canvas is heavy duty and all windows and the door have flyscreens. 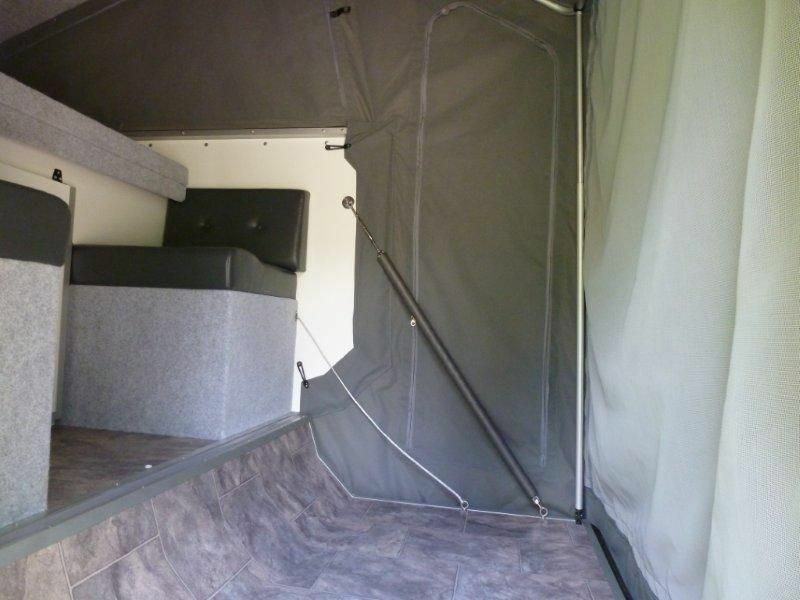 There are LED lights upstairs and on all external doors. 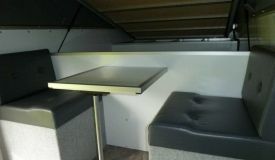 Upstairs there is a fold-down table and two vinyl covered seats. 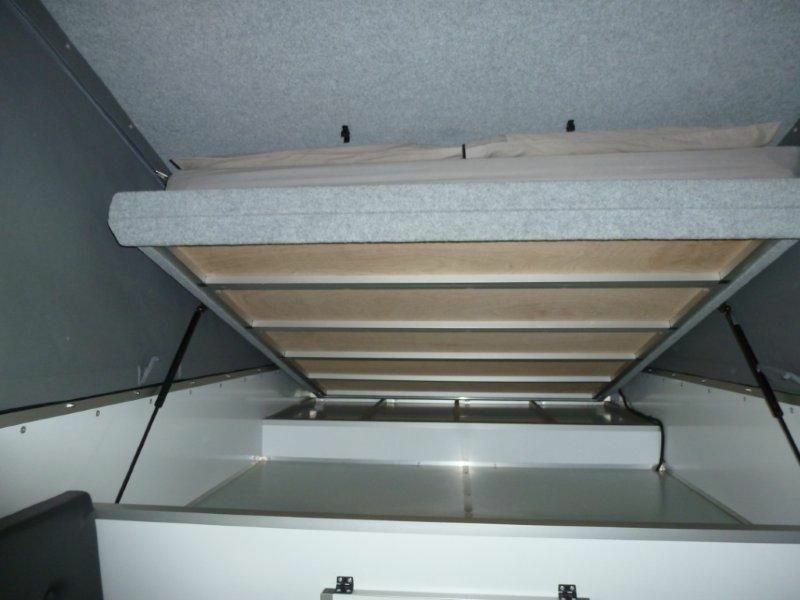 There is also a storage area under the bed. 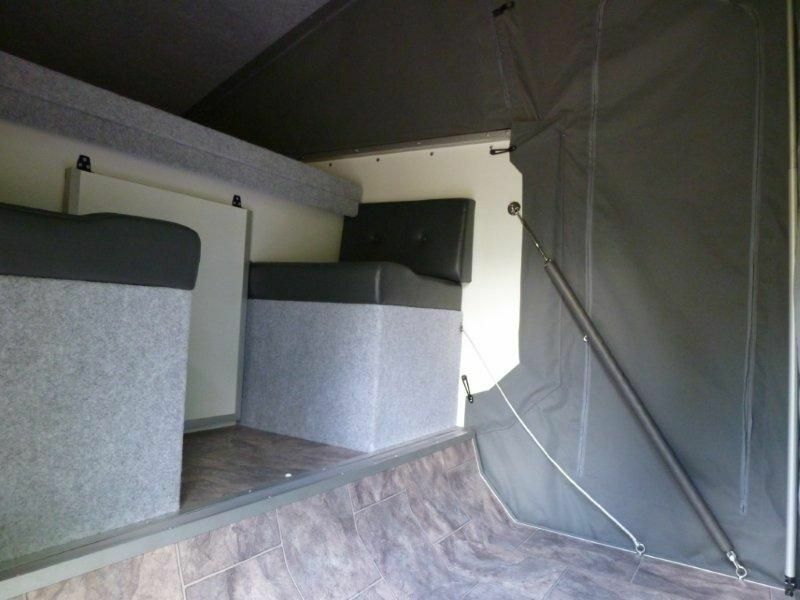 The storage compartment under the seats can also be accessed from upstairs. 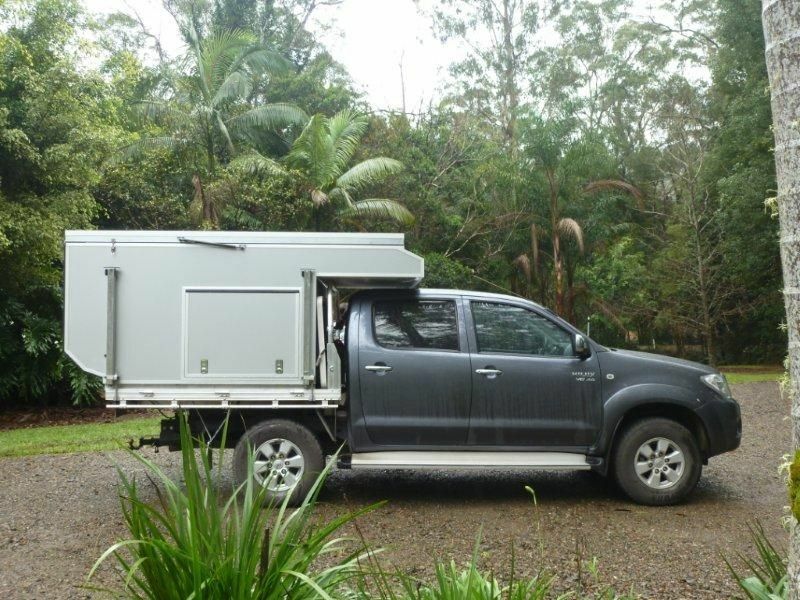 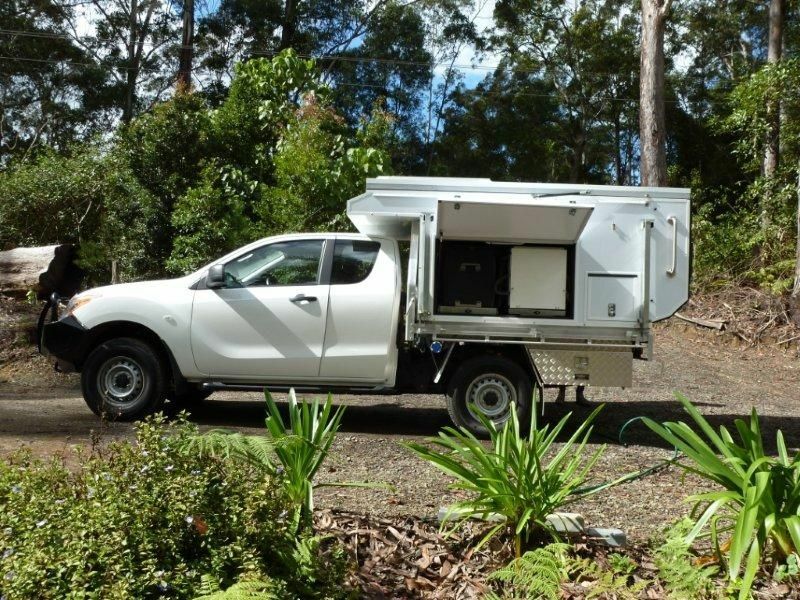 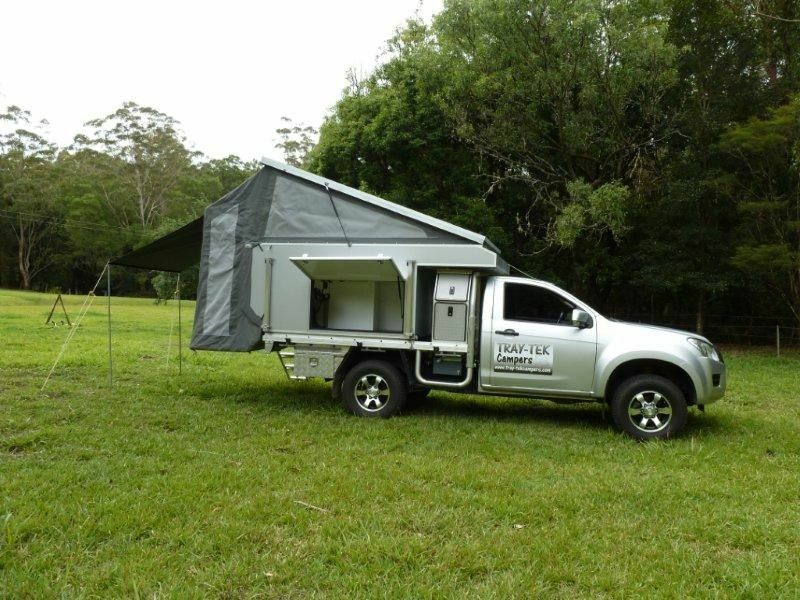 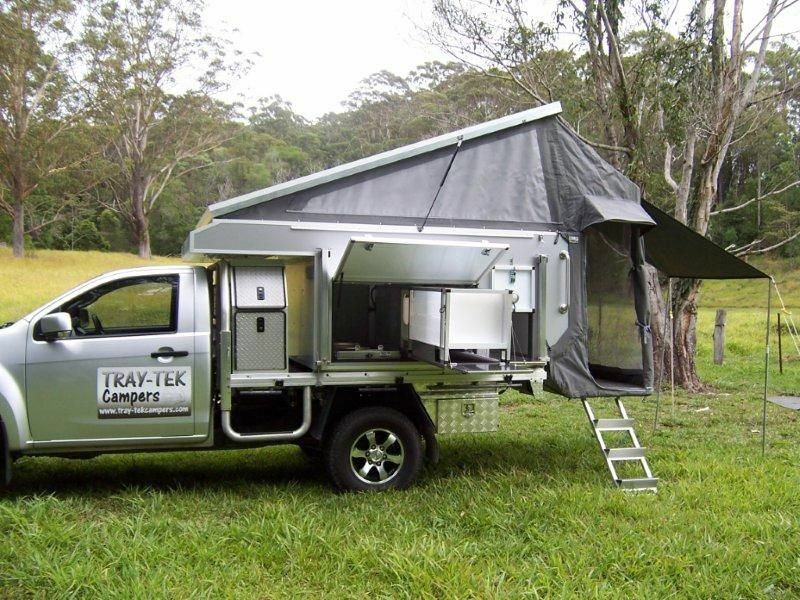 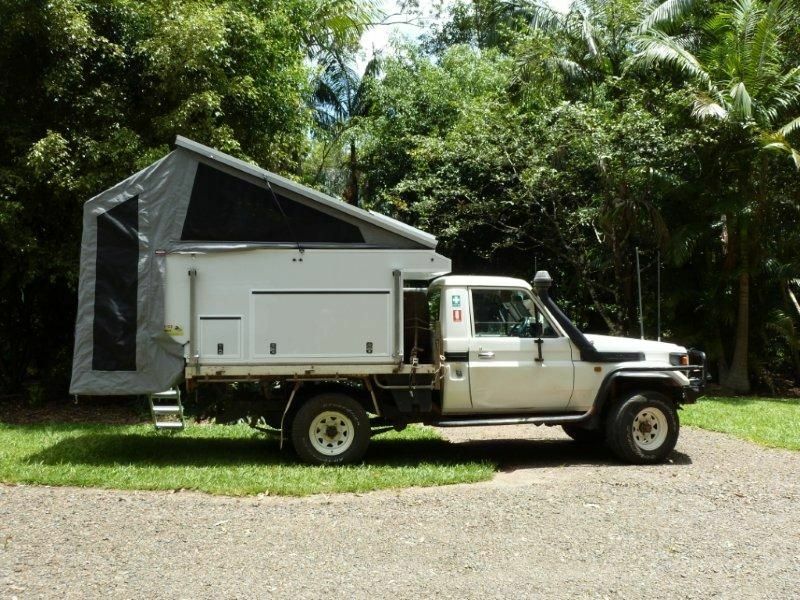 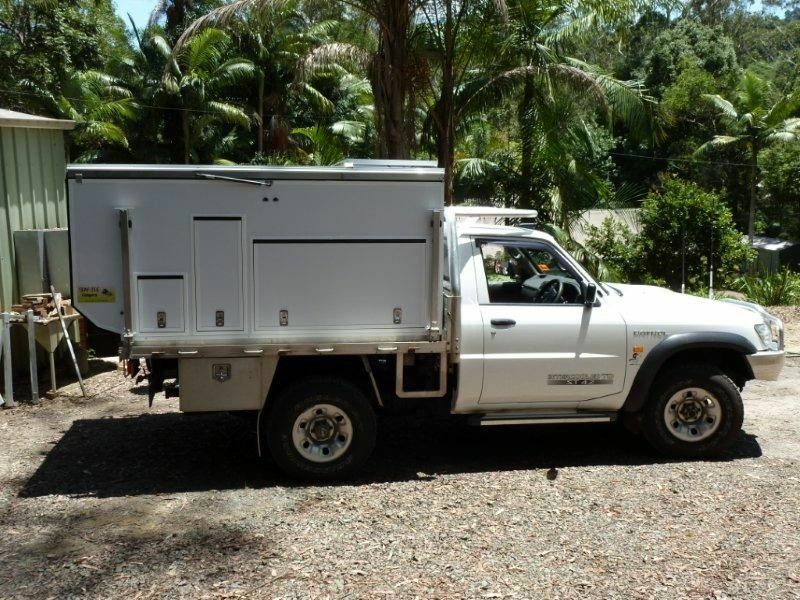 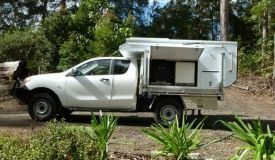 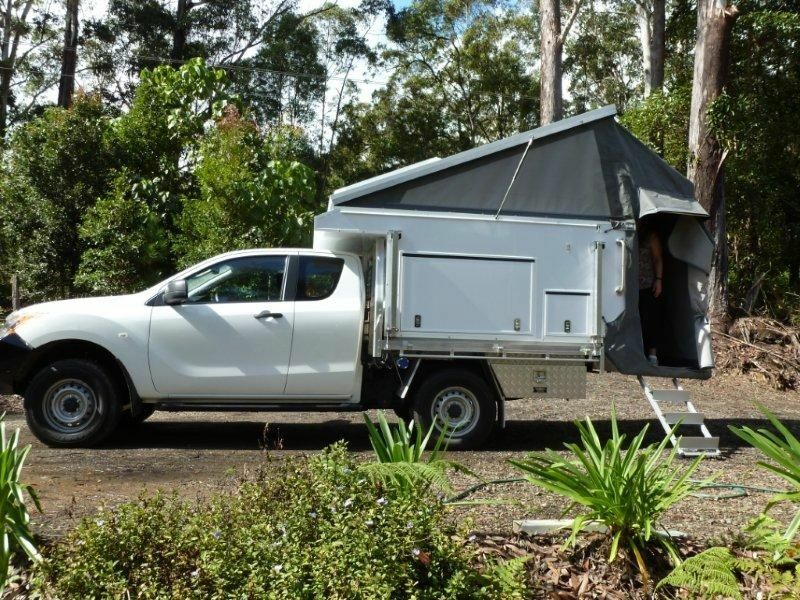 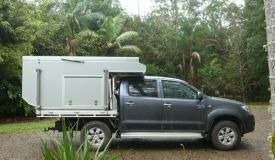 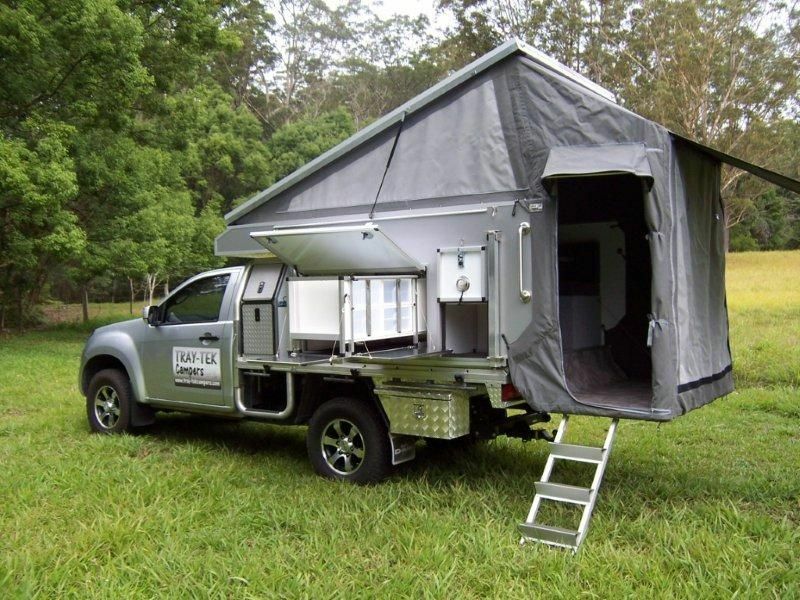 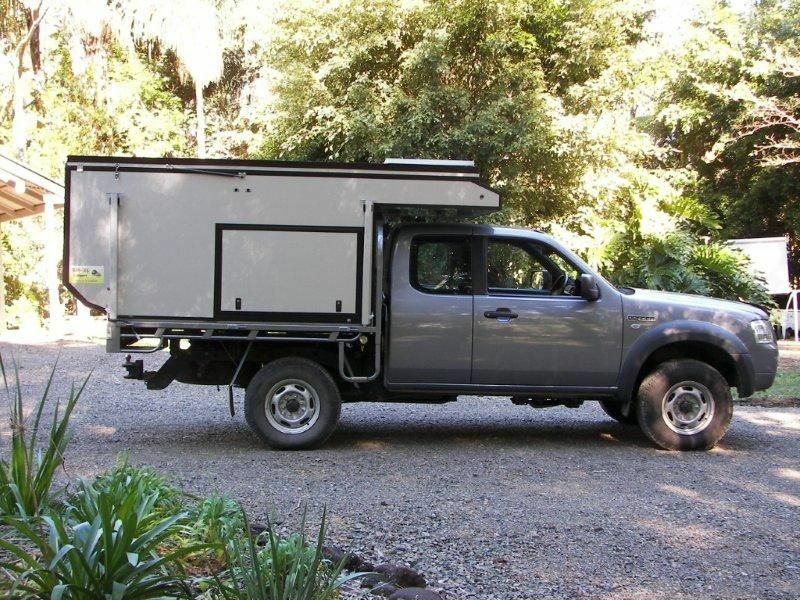 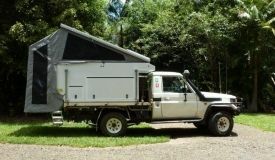 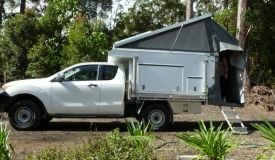 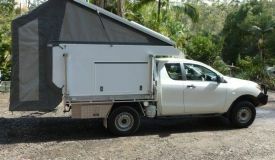 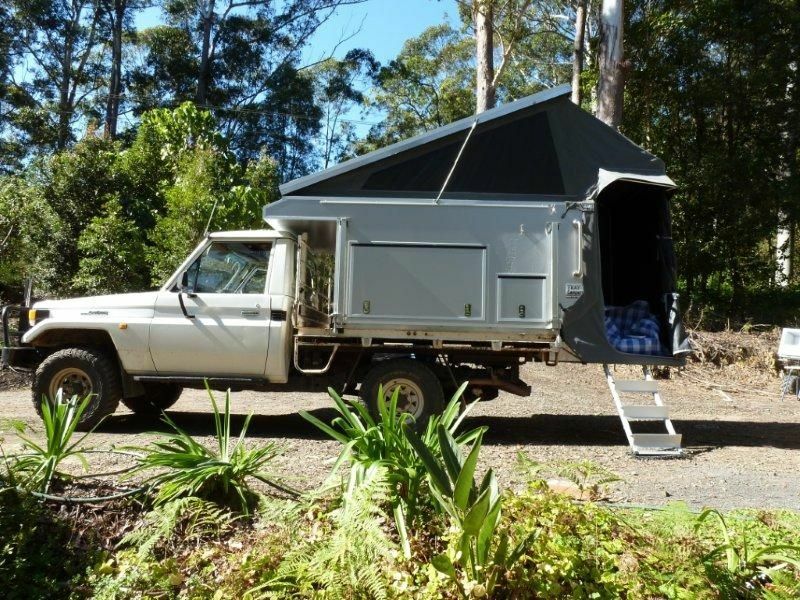 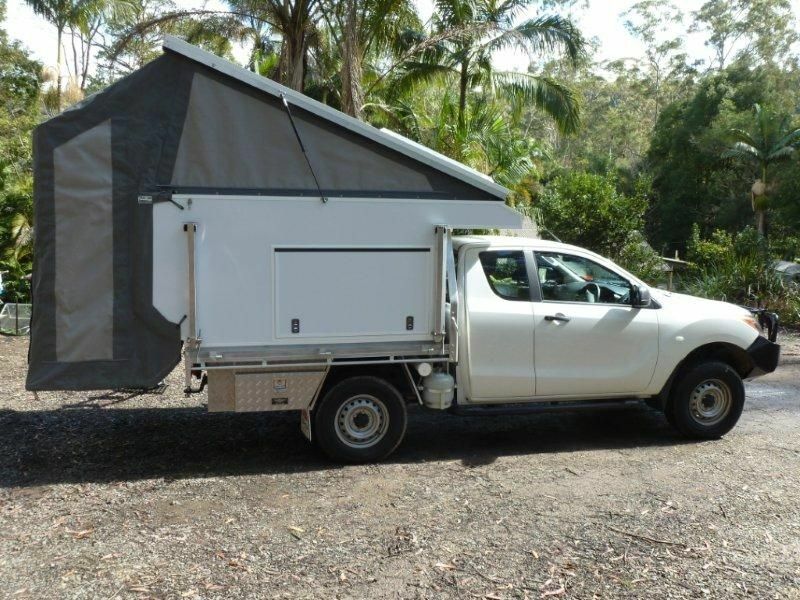 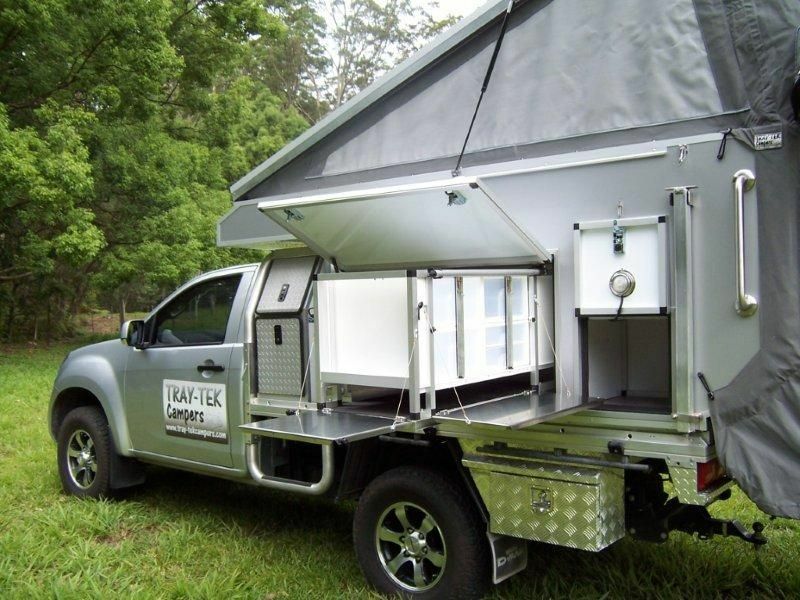 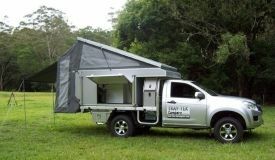 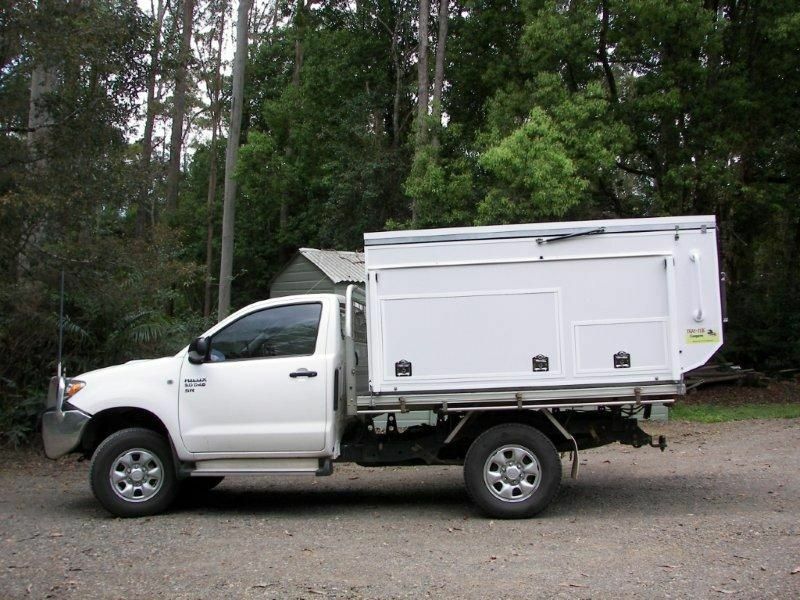 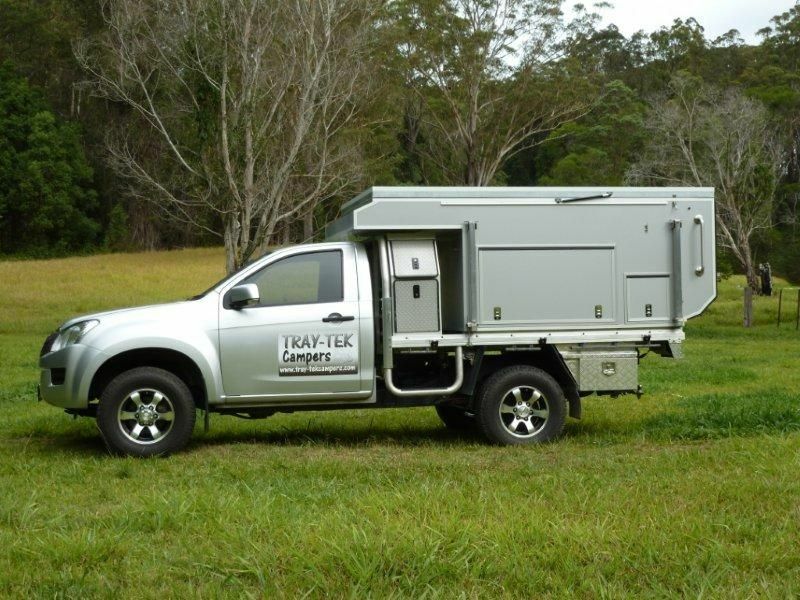 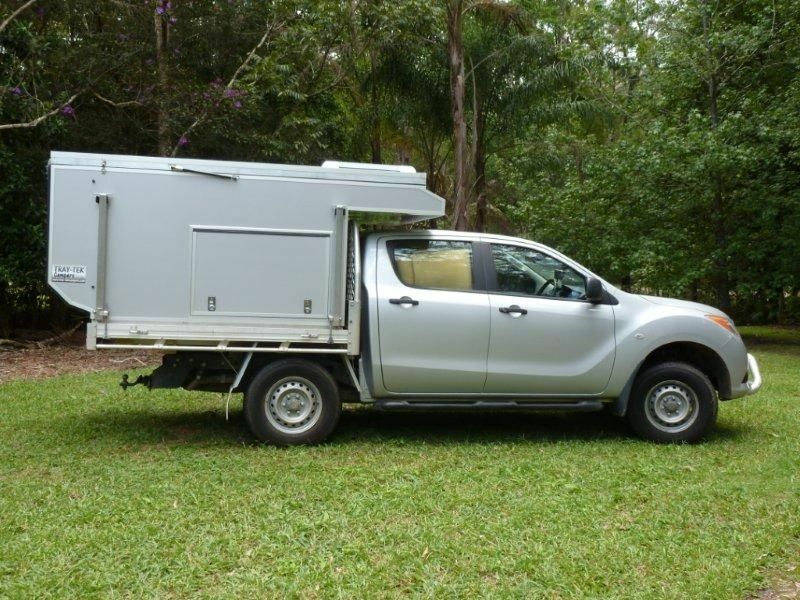 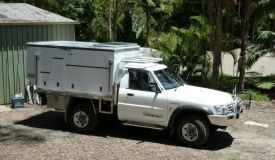 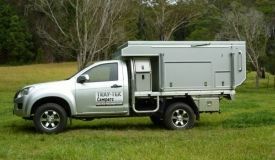 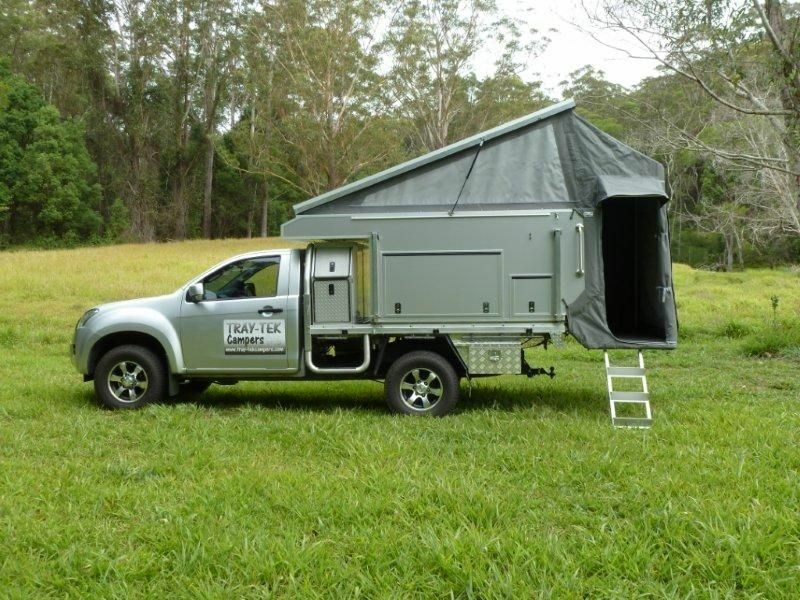 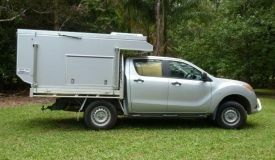 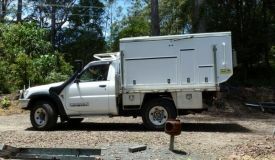 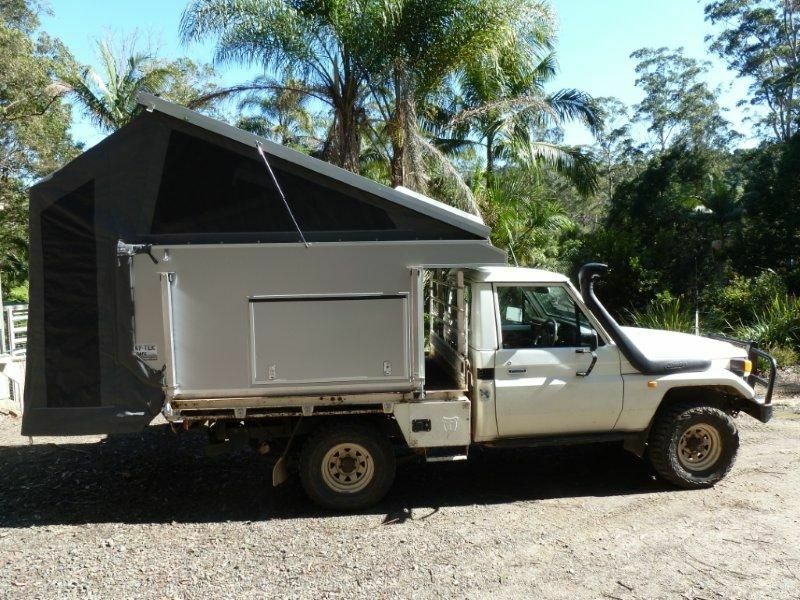 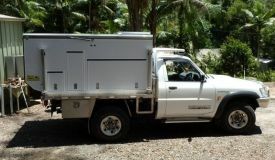 The “Tailgater” is available to suit Extra Cab, Dual Cab and Single Cab trays or the camper can be custom-built to your requirements. 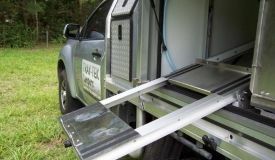 Solar can also be fitted if required (POA).